The latest issue of EW offers our first official look at the cast of Thor: Rangarok, and it’s certainly different — which actually might be a pretty good thing. The previous two films are widely considered lesser MCU entries, but with Taika Waititi behind the camera and promising a more humorous god of thunder, we’re looking forward to seeing a different side of Thor. 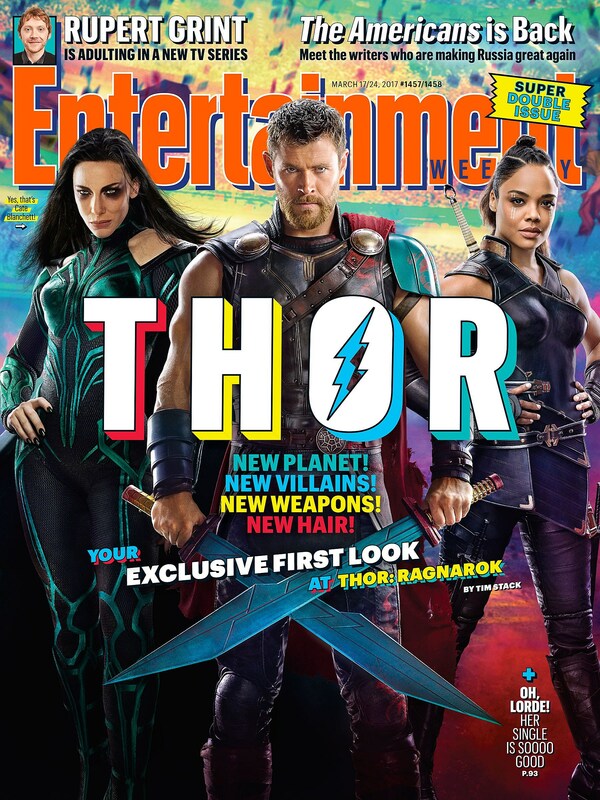 That side is definitely present on this magazine cover, which also features Cate Blanchett as the villainous Hela and Tessa Thompson as the warrior Valkyrie. I don’t know if Thor’s new hair screams “fun,” but everything else about Ragnarok (especially Cate Blanchett doing martial arts) sounds pretty delightful so far. Thor: Ragnarok hits theaters on November 3.